Preheat oven to 350 and mix all ingredients, bake for 21 to 23 minutes and let cool. Beat butter, vanilla, and salt, next add meringue powder and milk. Gradually add powdered sugar, beat at high speed until frosting is light and fluffy! Next you can stir in food coloring until you get your desired colors. Frost cupcakes place one cupcake on its side towards the end of serving platter. Place second cupcake on its side next to first cupcake, arrange remaining cupcakes. Frost 1 reserved cupcake decorate with assorted candies, licorice and lollipops to create face and antennae. place plain cupcake upright at front of cupcake row for head, top with face cupcake on its side. 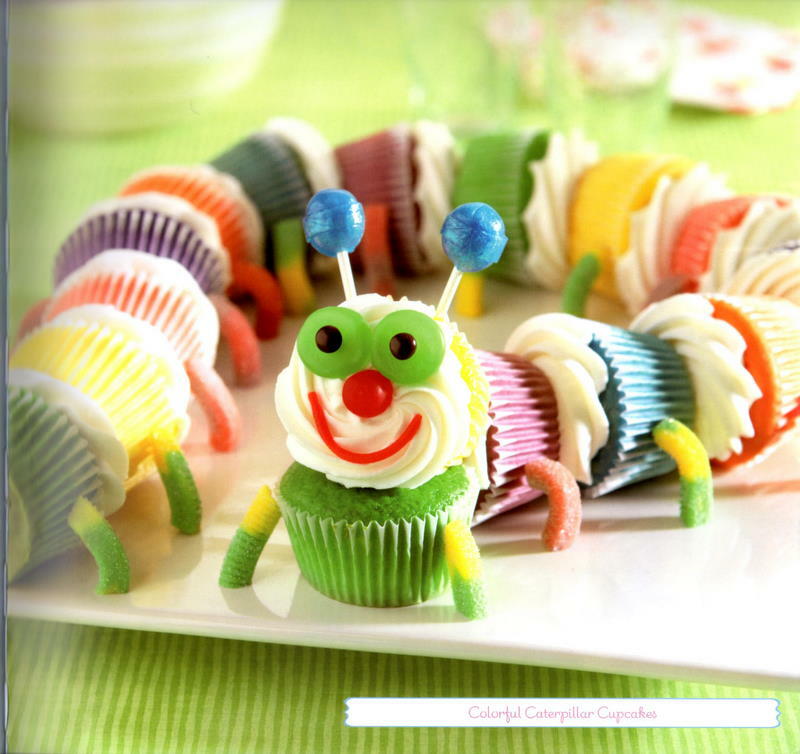 Cut gummy worms into small pieces, attach to caterpillar body with frosting to create legs.